Sometimes, as a Manager, you might have to deliver some bad news to one of your employees. You may have to tell someone that their job is redundant, or discuss some poor performance or unacceptable behaviour. The topic under discussion may be a sensitive issue. Some employees could react negatively, by becoming upset, angry or verbally abusive. There are several things that you can do, as their manager, to ensure that the meeting remains productive. Remain calm. It is your responsibility to achieve a successful outcome to the meeting and this can be done only if you remain calm and refrain from bringing your own feelings into play. Let the employee ‘vent’. It is important that the employee calms down. However, allowing the employee some time to vent his or her anger or frustration, gives them space and a feeling of being listened to. They may also reveal information that may help in finding a resolution to the problem. Remember the reason for the meeting. It is easy for the employee to veer into other topics if he or she feels uncomfortable, or is looking for excuses for his or her behaviour. To get back on track, you should remind them of the reason for the meeting and the ideal outcome. Remember that the issue needs to be dealt with. When faced with a difficult attitude, you might be tempted to postpone the meeting in the hope that the employee will calm down. However, this can make both parties lose sight of the issue. Don’t postpone the meeting simply because the employee is not being receptive. Inform the employee that his or her attitude does not assist the organisation as a whole. If the issue being discussed is the employee’s misconduct, you could explain to the employee that his or her difficult attitude in the meeting mirrors his or her behaviour in the workplace. This may help the employee to reflect on his or her behaviour and calm down. Make sure that the employee feels supported. If the employee knows that a manager is there to support and help him or her, this will be invaluable in achieving a successful outcome to the conversation. Have regular informal chats with the individual and less regular formal discussions, including a further meeting to review the outcomes or first step. Ensure that what was said and agreed in the meeting is well documented. Both parties should agree that the contents of the document reflect what was agreed and thereafter refer to it if there is confusion or disagreement. Monitor how the agreed actions are being implemented by the employee. Comply with your obligations as to follow-up, for example providing agreed training. Dealing with a difficult attitude or an angry or upset employee is not something that you have to handle every day, as a manager. However, if you’re prepared, if and when the situation does arrive, you’ll be in a better position to handle it. If you have a difficult conversation to have with a client and you’d like some help getting the best outcome for everyone, call me on 0118 940 3032 or email sueferguson@optionshr.co.uk and I can give you some advice and pointers. Difficult conversations with employees are part of a line manager’s role. Any conversation that you would rather not have can result in you expecting it to be a difficult one. However, issues need to be dealt with before they escalate into more serious problems, so in this series of blogs we’ll look at how best to handle them. acknowledging that the line manager was wrong and the employee was right. What happens if you ignore the issue? A loss of respect for you as a manager and the organisation as a whole can develop. Once you have decided to address the issue by having a conversation with the individual, you should conduct it in an appropriate manner so that both parties use the situation to maximum benefit. There are five key areas that you should consider. Think carefully about the differences between your character and that of your employee. You could adapt your style of doing things to assist with understanding and acceptance of the message by your employee. You should prepare any materials that may be needed for the meeting, including extra copies of documents for the employee. You can also practise what you are going to say, particularly any opening statement or questions. A difficult conversation should always be conducted in private so that neither the line manager nor the employee is embarrassed and so that you both feel that they can speak freely. You should allow sufficient time to enable proper discussion. It is important for you to communicate the issue clearly, so that there are no misunderstandings. You must also put the message across in a way that is constructive, even though the information may seem negative. Set the right tone: begin the conversation in a professional manner as this will encourage a professional attitude throughout the meeting and help to achieve a successful outcome. State the issues clearly: To avoid misunderstanding, state clearly what the issue is. Praise or positive comments can be useful, but you should not let this cloud the message that you need to impart. Put the issue in context: Demonstrate why the issue is important. 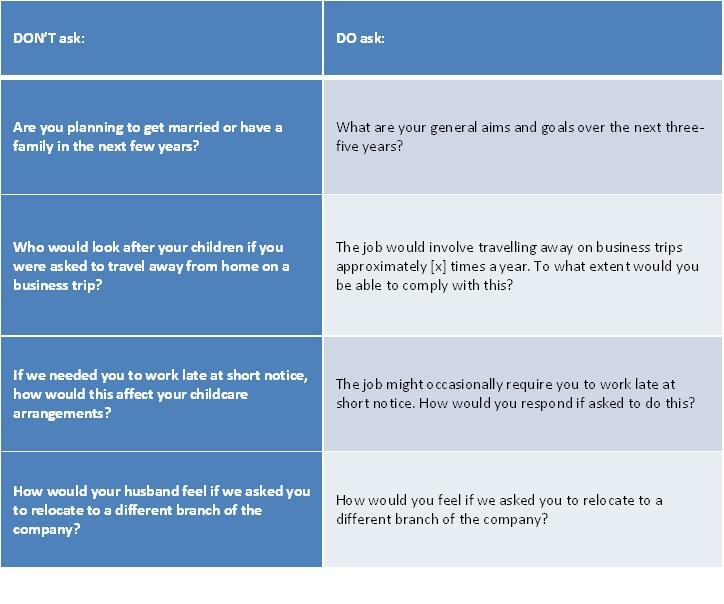 Give specific examples and evidence: If the message that needs to be imparted is that the employee has been refused a request for flexible working, it helps if you can give specific examples of why the request cannot be accommodated. Focus on the issue, not the person: Avoid expressing your opinion about the employee. This can be done by sticking to the facts and avoiding generalisations and comments on the individual’s personality. Avoid an attitude of blame: The issue needs to be addressed in a collaborative way. Managers should not approach a conversation with an attitude of ‘line manager versus the employee, but with an attitude of ‘both versus the problem’. Avoid belittling the issue: Your own fear of a difficult conversation could lead you to belittle the issue. Avoid phrases such as “this won’t take long”, “it’s really not a big deal” and “I’m sure you’re aware of what I’ll be saying”. Be positive: Managers should be bold and state that they want a successful outcome to the meeting. This will give a constructive tone and feel to the conversation even if the news seems bad. It also helps if you use positive words, such as “improvement” and “achievement”, rather than negative words, such as “failure” and “weakness”. Body language: Be aware of your own body language so that it does not alienate the employee. Your attitude will usually be replicated by the employee. There is a lot more to getting through difficult conversations with employees, including listening, exploring the issue and agreeing the next action, which we’ll cover in the next blog in this series. If you need some help now with handling difficult conversations, contact us now and we can provide you with some free, impartial advice, to help you get started. Call us on 0118 940 3032 or click here to email me. Managing sickness absence is always difficult and dealing with someone who you suspect is not genuinely ill has always been trickier. You might have seen it happen and had your suspicions, but how to you prove that the sickness was not genuine? It’s not easy, so here are some suggestions to help you. The first step is to identify and record available evidence to support your suspicions. If you have evidence that one of your employees is being dishonest by claiming to be off sick when he or she is not, you may be able to discipline them or even dismiss them for misconduct. Mere suspicions and rumours will not be enough to show misconduct. However, social media has the potential to provide a good source of possible evidence. If you are presented with evidence from social media, perhaps from another employee, you can use it in the same way as you would any other anecdotal evidence or an employee tip-off. The credibility of the evidence retrieved from social media will need to be tested in the usual way. Has the information been taken out of context and are the dates of posting accurate? There is debate over whether social media posts are in the public domain or private, in which case, your employee could argue that this breaches their right to privacy. However, interference with the right to privacy can be objectively justified and might be permissible if you have reasonable grounds to believe that your employee is fraudulently claiming sick pay. In general, as an employer, you should be able to rely on such evidence, but each case would need to be assessed on its own merits and ‘fishing’ exercises are never advisable. If your evidence of malingering looks robust and credible then you should be able to start a disciplinary process for misconduct. A lack of evidence of dishonesty does not mean that you cannot challenge an employee you suspect is not really as ill as they claim. People will often continue to take unwarranted time off where they believe their absences are passing unnoticed. You can address this by ensuring that return-to-work interviews are carried out following each occasion of absence and encourage your line managers to probe further (or push for medical evidence) if faced with evasive or inadequate answers. If you believe you have evidence of dishonest behaviour, it is important not to jump to conclusions. Remember that employees do not have to be bed-bound, or even at home, in order to be unfit for work. An employee posting pictures of himself on holiday or doing sport or other leisure activities may still be genuinely unwell. Many health conditions do not improve as a result of lying in bed. It is still important to carry out an investigation, as you would for any other allegation of misconduct. How do you spot malingerers? Some of the signs include patterns of absence, such as the same day each week; triggers for absence, such as being invited to a disciplinary meeting; reluctance to provide medical evidence or attend appointments; posts on social media; tip-offs from colleagues and reports of activities that seem inconsistent with ill-health, such as undertaking other work or going on holiday. Before disciplining or dismissing the malingering employee for misconduct, you must follow your own procedures and the Acas ‘Code on discipline and grievance’, as you would do in any other disciplinary scenario. You will need to put the evidence to the individual, hear their explanation and consider if that explanation requires further investigation and medical evidence may be needed. You must also consider the individual circumstances of the case and any mitigating points, such as length of service and previous disciplinary history, as well as how similar cases have been dealt with in the past. Make sure you follow this process any time you are unsure of how ill an employee really is. If in doubt about how to handle such a situation, contact us by calling 0118 940 3032 or clicking here to email us and we’ll help you through it. 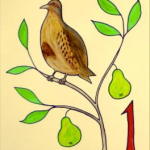 On the first day of Christmas, my HR Consultant gave to me, a Contract in a pear tree. Make sure that you have up to date contracts for all your employees. 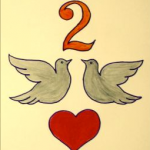 On the second day of Christmas, my HR Consultant gave to me, two boxing gloves. Don’t go picking a fight with your employees just because they don’t do what you want them to do. Learn to manage them properly! 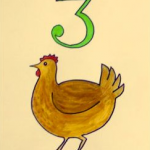 On the third day of Christmas, my HR Consultant gave to me, three French Hens. If you have employees from Europe, keep an eye on our blog for news of how Brexit could affect your employees and your business. 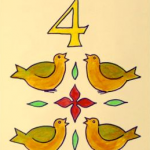 On the fourth day of Christmas, my HR Consultant gave to me, four dreaded words. “You have been fired!” Before you rush to sack anyone, check to make sure you have a good reason and make sure you do it properly. 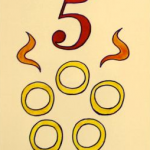 On the fifth day of Christmas, my HR Consultant gave to me, five golden things. Here are the five stages of HR that your business will go through. 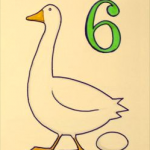 On the sixth day of Christmas, my HR Consultant gave to me, six staff-a-laying. Keep your employees delivering all those golden eggs, to the best of their ability, by looking for ways to develop them and their performance. 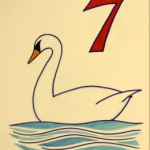 On the seventh day of Christmas, my HR Consultant gave to me, seven swans-a-swimming. If, like a swan, you’re all grace and elegance above water, while below you’re frantically paddling to keep afloat of all things HR, just get in touch to see how we can help. 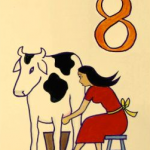 On the eighth day of Christmas, my HR Consultant gave to me, eight maids-a-milking. Except that these days, you have to let the men do the milking too, if they want to! You’re not allowed to discriminate. Acas can help you create a fair workplace. 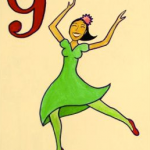 On the ninth day of Christmas, my HR Consultant gave to me, nine ladies dancing. And the men can dance too! 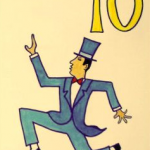 On the tenth day of Christmas, my HR Consultant gave to me, ten lords (and ladies) leaping at the Christmas party. Make sure you lay down a few rules for proper behaviour, so that things don’t get out of hand. 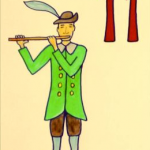 On the eleventh day of Christmas, my HR Consultant gave to me, eleven pipers piping. Make a big noise when your staff do a great job. Look for the best way to reward them. 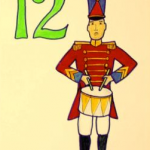 On the twelfth day of Christmas, my HR Consultant gave to me, twelve drummers drumming. I keep drumming good HR practices into my clients’ businesses, to help them grow successful companies that are great places to work. And have a stress free New Year with lots of happy, productive employees! Is it Cheaper to Look After Your Staff or Cheaper to Replace Them When They Leave? How can the loss of key staff members be prevented when so many employers are not interested in managing retention? Many employers don’t attempt to manage retention of their staff. Those that do so seldom evaluate the impact of their measures, and often base them on unreliable assumptions about the reasons why employees resign. Several research studies have shown that retention is linked to employee engagement, which in turn is linked to profitability, customer service and other important business metrics. So is it better to focus on improving engagement, rather than retention. Or should you not worry and just bear the cost of replacing people when they leave? Despite all the evidence that staff attrition costs money, many businesses take no active steps to control their staff turnover. Research has shown that action is most likely to be taken after the event: when turnover has already become a problem and damage is being done to organisational efficiency. Studies also consistently show that employers tend to mishandle their efforts to manage retention, focusing on issues that they believe are linked to resignations rather than those that actually motivate staff to leave. Pay in particular is often used to encourage employees to stay, yet it is much less of a deciding factor in employees’ own decision-making than being offered career opportunities, being kept informed and consulted and having faith in the business’s leadership. It embraces the older concepts of job satisfaction, motivation and attachment that described individual employees’ attitudes to their employer, but goes beyond them to provide a complete model of the psychological relationship between individuals and organisations. It is a two-way process in which employers and employees interact and respond to each other, unlike the more static concept of job satisfaction. the individual’s contribution to their employer’s success (“I help achieve the goals of my organisation”). Look after your staff and they are more likely to look after you and the future of your business. If you need some advice or ideas on employee engagement, email us at sueferguson@optionshr.co.uk or call 0118 940 3032. How Do You Handle Unauthorised Absence from Work? What do you do when one of your members of staff keeping missing work for no apparent reason, or doesn’t come back when you expected them to after their holiday? This is known as unauthorised absence and needs to be handled quickly and efficiently. The first thing to do is find out why someone has been missing work. Is it unusual or do they keep missing work? Next you need to get in touch with them and follow a procedure. This short video will tell you more about this. We can help you put a procedure in place for handling these issues and can provide you with a template letter to send to staff who have been absent without your authorization. Just call us 0118 940 3032 or email sueferguson@optionshr.co.uk for some confidential advice. Recently one of my clients asked me to help one of the managers in her business, who wasn’t that confident in his role. Rather than sending the manager on an off the shelf ‘learn to manage’ course, my client asked what I thought would work best. After a brief conversation with my client, to find out about her concerns, I then spoke to the manager. As a result, we decided that some 1-2-1 management coaching sessions with the manager would be ideal. One of the manager’s main issues was that he needed to learn how to deal with long serving members of staff. There had been a number of incidences when he might ask them to do something, for them to tell him that it wasn’t part of their job. Both the members of staff have been with the company for some time and like the way things always used to be. They weren’t keen on change – something many of us struggle with. Rather than come down heavy handed on his staff, the manager and I agreed, during one of our sessions, that he needed to learn how to push back and challenge his team members. To help him do this more effectively we used the Quest personality profiling system, to show up in which areas he is stronger and weaker. This showed us the skills that we needed to work on. It’s not possible to turn all your weaknesses into strengths; you need to understand which are the most important ones that you can develop. We also looked at the manager’s best communication style and how that relates to the communication styles of his team members. We discussed the importance of not treating everyone the same. Instead, look at how they like to be managed and find a middle ground. I will carry on working with my client’s manager, over the coming months, to coach him in his job and help him to overcome other obstacles that will come his way, as his confidence builds. If you would like to arrange 1-2-1 Coaching for your members of staff, do get in touch. We can discuss the issues and work out the best way forward, for you and for them. Call us on 0118 940 3032 or click here to email me. Your business is growing and you’re looking to expand your team and take on a new member of staff. How hard can it be? Once you’ve advertised the position and collected all the CVs from the applicants, all you have to do is carry out a few interviews. But if you’ve never interviewed before, or you’ve had no formal training in how to do it, you need to be careful. These days there are many things that can trip you up during an interview. You can be sued by someone before they even start working for you, so this issue of Working Together looks at what you should not ask in an interview and what you can ask. The key purpose of an interview is to assess the skills, experience and general background of a candidate, to help you make a decision on whether that person is the best person for the job you’re looking to fill. Interviewing is the most commonly used method of assessing prospective employees and it should be a two way process. An interview should be a forum through which each candidate can obtain information about your business and the job. Any actual or potential absences from work for family reasons. Employment tribunals take the view that these questions, if asked of a female candidate, indicate an intention to discriminate. Instead, you should ask questions that explore the ability to perform the job and they should be asked of all your candidates. So what can you ask? Ask factual questions about past experience and behaviour. Once you have gathered all the information you need, through open questioning, you should be in a good position to make a decision. Make sure your questioning covers work experience, qualifications, skills, abilities, knowledge, ambitions and strengths and weaknesses. Don’t allow gut feeling alone to determine the selection decision, because gut feelings are inevitably influenced by personal attitudes, and may result in unlawful discrimination. Focus on the requirements of the job and the extent to which each applicant’s background matches these. I recently ran an interviewing skills workshop for one of my clients and some of their staff. If you’d like me to deliver the same thing for you, do get in touch by calling 0118 940 3032 or clicking here. What’s the Difference Between Informal and Formal Appraisals? This is a question I’m often asked by managers, so I thought I would answer it here. A performance appraisal can occur in two ways – informally or more formally (or systematically.) Informal appraisals can be carried out whenever the supervisor feels it is necessary. The day-to-day working relationship between a manager and an employee offers an opportunity for the employee’s performance to be assessed. This assessment is communicated through conversation on the job, over coffee, or by on-the-spot examination of a particular piece of work. Informal appraisals are especially appropriate when time is an issue. The longer feedback is delayed, the less likely it is to encourage a change in behaviour. Frequent informal feedback to employees can also prevent surprises when the formal evaluation is communicated. However, you should make sure that they don’t become too informal – don’t be tempted to discuss an appraisal in the pub! Although informal appraisals are useful, they should not take the place of formal appraisals. These are used when the contact between a manager and an employee is more formal. This could be when they don’t see each other on a daily, or even weekly basis. It requires a system to be in place to report managerial impressions and observations on employee performance. When Should You Carry out Appraisals? Appraisals typically are conducted once or twice a year, most often annually, near the anniversary of the employee’s start date. For new employees, common timing is to conduct an appraisal 90 days after employment, again at six months and annually after that. ‘Probationary’ or new employees, or those who are new and in a trial period, should be evaluated frequently—perhaps weekly for the first month and monthly thereafter until the end of the introductory period for new employees. After that, annual reviews may be sufficient. Some managers prefer to meet with their employees more frequently. Some companies in high-technology fields are promising accelerated appraisals— six months instead of a year—so that employees receive more frequent raises. The result for some companies has been a reduction in turnover among these very turnover-prone employees. A regular time interval is a feature of formal, systematic appraisals that distinguishes them from informal appraisals. Both employees and managers are aware that performance will be reviewed on a regular basis and they can plan for performance discussions. In addition, informal appraisals should be conducted whenever a manager feels they are desirable. Should We Talk About Pay As Well? Many experts say that the timing of performance appraisals and pay discussions should be different. The major reason for this view is that employees often focus more on the pay amount than on what they have done well or need to improve. Sometimes managers may manipulate performance appraisal ratings to justify the desired pay treatment for a given individual. However you carry out appraisals – whether informally or formally – take some time to think about the pros and cons of the different options. This will help you implement the best process for the development of your business and your employees. Communicating on a regular basis with your employees is one of the most powerful HR tools available to you. Talking to your staff can help prevent small issues from turning into more complex, potentially expensive ones, such as grievances or disciplinary problems. Finding out what your employees are thinking can even help you encourage them to work harder for your business. One of my clients called me in to help them sort out some problems recently. The management had noticed that their staff were complaining about not being told what was going on in the business. There was actually nothing happening for them to worry about, but because the management didn’t tell them anything, they started to think that the management was hiding something. A regular open forum was held at their quarterly staff meetings, giving employees the chance to speak up and ask questions; but no one ever did. So the managers assumed that everyone was happy. To find out more, I arranged a meeting with a cross section of the staff, to ask them how they really felt about the communication in the business and how it could improve. One thing they told me was that no one liked asking questions in the open forum. No had had the courage to stand up in front the whole business to speak out! Next I had a meeting with the directors of the business, to report back what I had found out. There was another staff meeting coming up, so instead of expecting employees to voice their concerns at the open forum, we came up with an alternative. Before the staff meeting, we would split the employees into a number of smaller groups, each with one of the directors. They would ask their group how they would like to be communicated with. One person from each group would then bring forward the ideas from their group to present to the whole business. This allowed people who were brave enough to stand up in front of the colleagues the opportunity to do so. At the very next staff meeting, a whole range of issues where brought up in front of the whole business in this way. It gave the employees a real chance to tell the management what they thought. There was an opportunity to really discuss, openly, what was going on in the business (and what wasn’t going on!) Concerns were aired and fears where allayed. The end result was a very happy staff – and happy management too. This is just one example of how communication can be used to improve a business. This solution worked for this business – what is important is that you work with your staff to find out what will be the most appropriate for them. When you have regular and open lines of communication with your employees, you can help to prevent negative issues from arising and build a happy, engaged and productive team for your business.